In an address directly aimed at Donald Trump, the French president said that abandoning the Paris Agreement was not an option. The US president-elect has promised to undo the climate commitments made by Barack Obama in 2015. EURACTIV France reports. 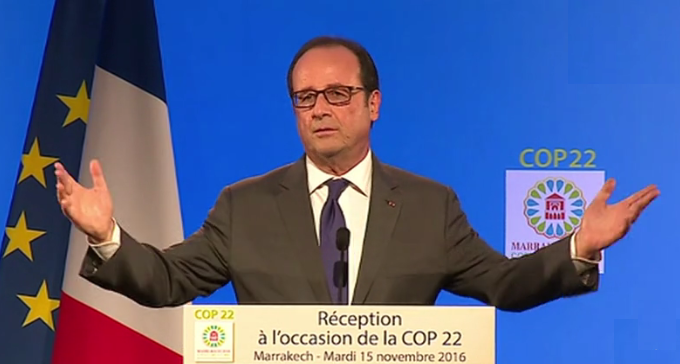 François Hollande’s message at the COP22 in Marrakesh was clear: there is no going back on climate action. “The United States, the world’s leading economic power and second biggest greenhouse gas emitter, must respect the commitments that have been made,” he said on Tuesday (15 November). “Not only is it their duty, but it is also in their interest, the interest of the American people,” the president said. He added that France “will enter into a dialogue with the United States and their new president, openly, respectfully, but with high expectations and determination”. This he promised “in the name” of all the countries that have ratified the Paris Agreement. Donald Trump’s election appears to have stalled the momentum of the Paris Agreement. 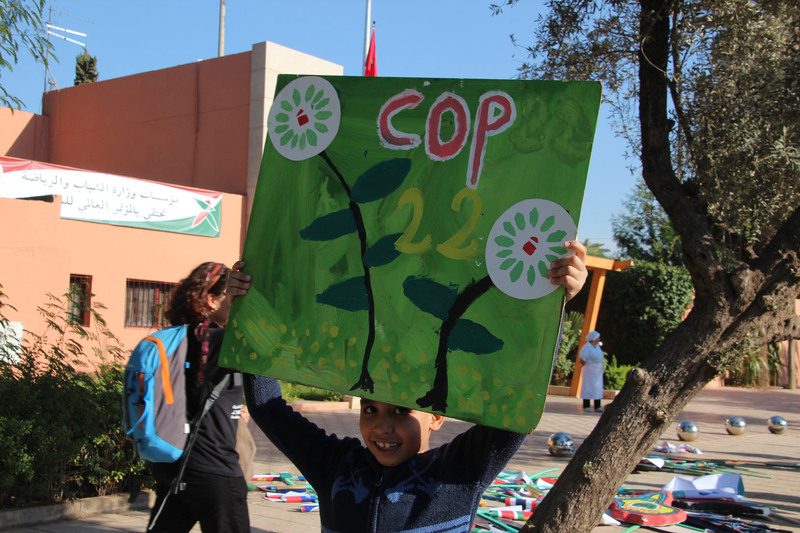 Concern over the future of the deal is palpable among participants at the COP22 in Marrakesh. EURACTIV France reports. For the French president, the Paris Agreement is not only a “historic” achievement, but a, irreversible one, practically, legally and “in our conscience”. He was also keen to remind the international community of France’s efforts at last year’s COP21 and the diplomatic success of the Paris Agreement. “It was important for Hollande to confirm that France, like other countries, will continue to fight climate change, whatever the decisions made by Donald Trump,” said Lucile Dufour, the head of international negotiations and development at Climate Action Network. “In his speech, François Hollande painted France as the guardian of the temple of the Paris Agreement at international level,” said Pascal Canfin, the director of WWF France. 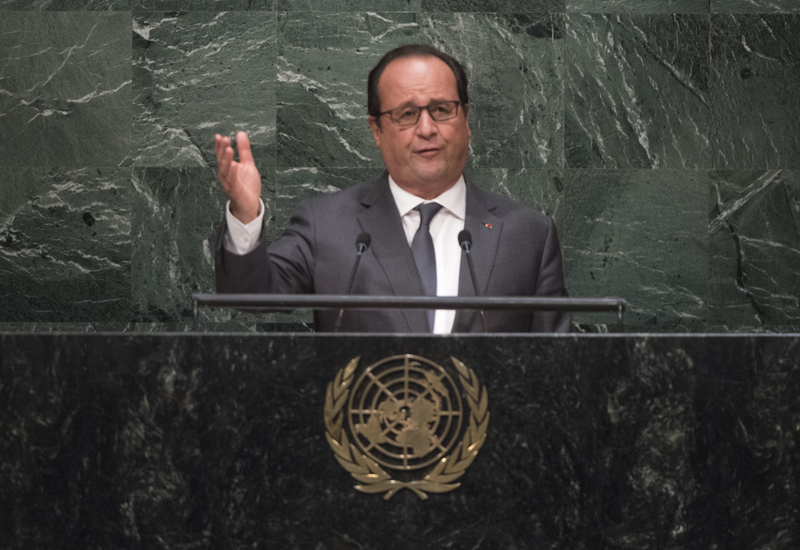 While Hollande’s stance on Donald Trump was broadly welcomed, his reluctance to increase the ambition of France’s own climate commitments left the audience unsatisfied. Less than a month before the start of the COP22 climate summit in Marrakech, EU finance ministers have pledged more funding to tackle global warming. But the exact terms of this promise are yet to be defined. EURACTIV France reports. “In his speech, François Hollande just reiterated the same financial promises he had already made. 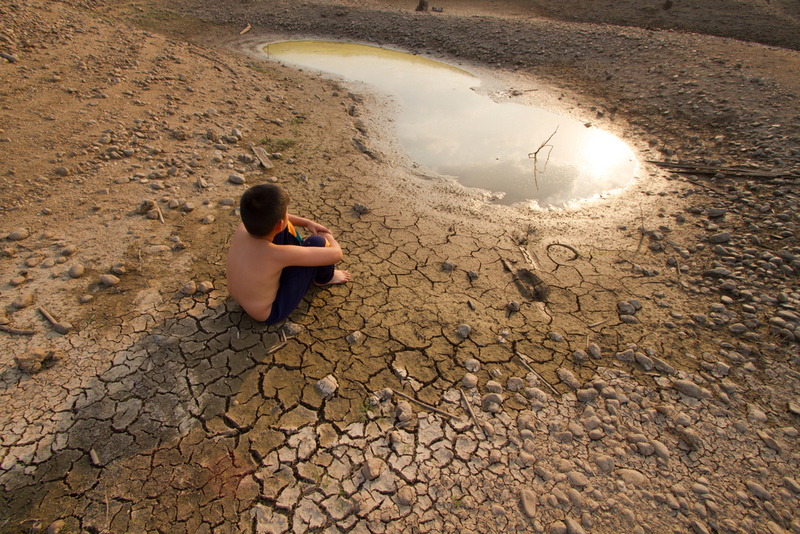 Mobilising just 20% of climate finance for adaptation by 2020 means we are far from able to meet the growing needs on the ground,” said Armelle Le Comte, a climate and energy campaigner for Oxfam France. The president repeated a promise he made ahead of last year’s COP21, to increase France’s climate finance for the most vulnerable countries by €2 billion per year by 2020. Adequate finance is essential to achieving the objective of limiting global warming to 2°C. But Hollande “unfortunately seems happy with the bare minimum, repeating the French commitments form the COP21”, said Canfin. The question of climate finance is one of main issues of the COP22 in Morocco. Rich countries have promised to find $100bn per year by 2020 to fund climate adaptation projects in developing countries, and big questions remain over where this money will come from.